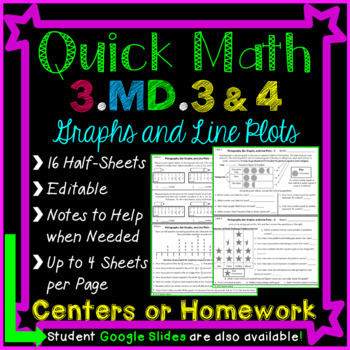 This homework, or classwork pack, includes 16 half-sheets that are specifically aligned to 3.MD.3 and 3.MD.4. 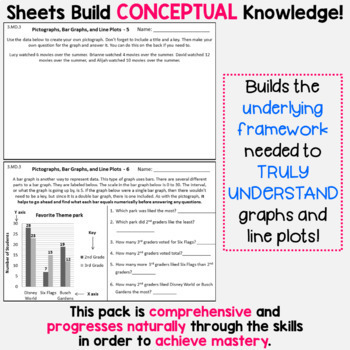 However, it would also be good for any classroom practicing and/or reviewing pictographs, bar graphs, and line plots. 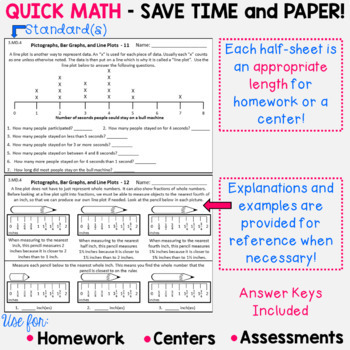 This homework shouldn't take students much time to complete, and the examples provided on some of the pages will provide explanations to parents who are helping their child. 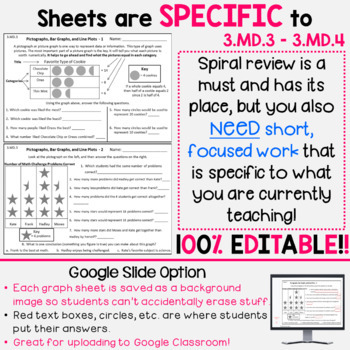 If used in the class, this would make great center work since each sheet is short.